Supports up to 980 lbs. 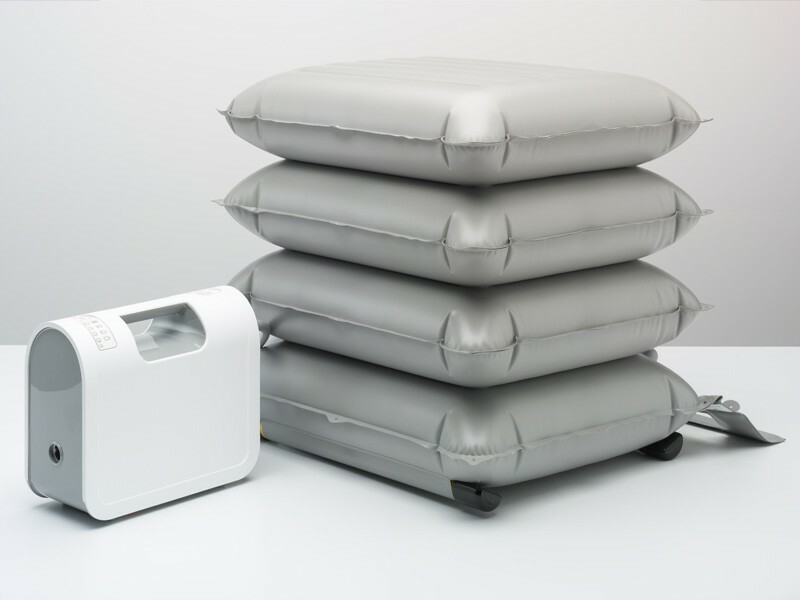 When a loved one has fallen, the Mangar Elk Emergency Lifting Cushion will help them get back onto their feet without having to call for help or an emergency response. No matter why they fell, whether it be mobility challenges from obesity, neurological disorders, disabilities or aging effects, you will be able to help get them back up in no time, rather than waiting on others and without causing injury to them or to caregiver trying to simply lift them. This in-home lift gives your loved one or patient more dignity in getting back on their feet faster. In the event it needs to be used, it is simple and required no certification of any kind. 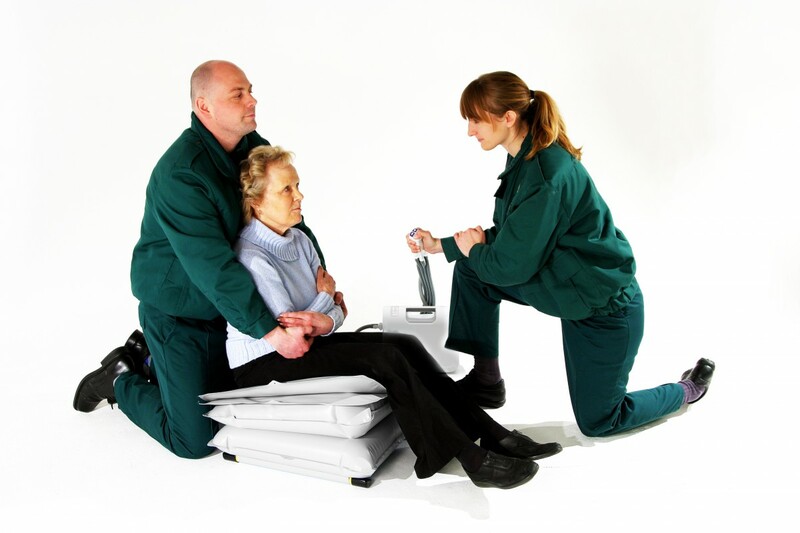 Used with the Airflo Plus Compressor this cushion inflates, gently lifting the person off the floor into a sitting position with someone behind them for support. 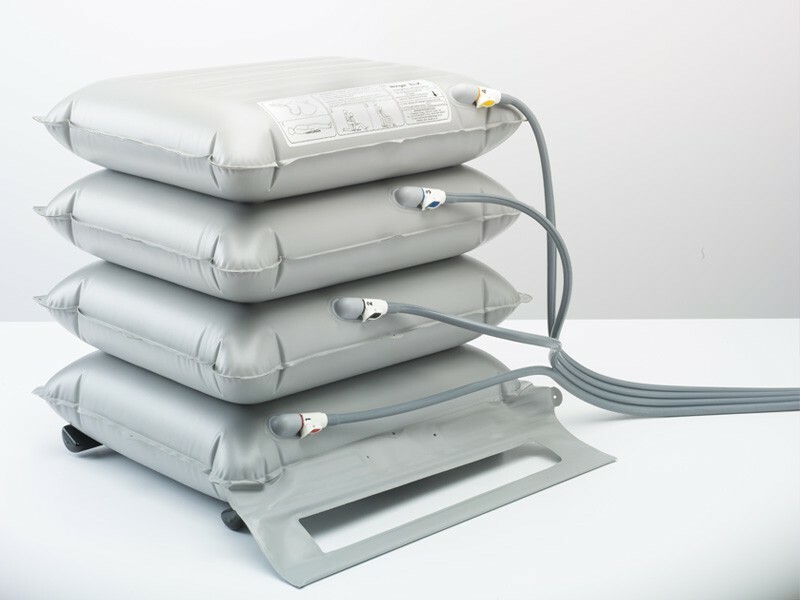 The Elk is sturdy, lifting up to 980 lbs which makes it ideal for all patients, including bariatrics. This particular emergency lifting cushion is safe in every way. It is impossible to over inflate as the compressor stops once it reaches full pressure, and punctures do not make the cushions explode, nor will the patient suffer from a second fall. It will no longer inflate, but the other 3 cushions will continue to function. If the hole is small enough there will be an audible leak, but the cushion will possibly still continue to inflate. However, punctures should not be fixed, but rather replaced due to internal pressure. Small and compact, you can store it just about anywhere it is easy to transport, so you can also take it with you when you travel. With the ability to fit into small spaces, it is able to be used even when the fallen is in a tight space and traditional lifting equipment is unable to be used. Battery powered and made of a water-repellant material, it can be used indoors or outdoors, making it more diverse than most traditional lifts. Where can I buy a mains power cord for Elk Airflo 24 compressor? We should be able to special order the item for you if it's available from the manufacturer. Please contact customer care at 800-397-5899 and speak with a customer service representative who should be able to assist you.